Hemmed in by spectacular scenery, Oslo has all the perks of a global capital: world-class museums and galleries, impressive and unique architecture, plus a cosmopolitan and colourful culture and nightlife. 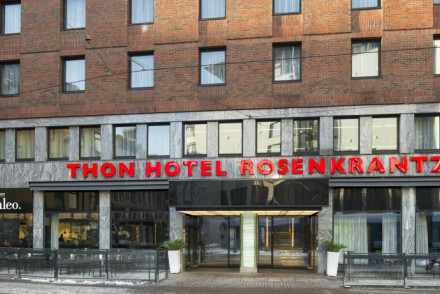 Those hotels that make our selection of the best places to stay in Oslo are all centrally located and ideal for making the most of Norway's capital city. Oslo is also small enough to explore on foot, which gives this town something of a village-y feel. This is a fantastic town for sailors, hikers, kayakers, cyclists and especially skiers. All these sports are on offer in Oslo, or else a very short train journey away. Ever fancied cross country skiing, ski jumping or even base jumping ? It's all possible here in Oslo. The hills, calm lakes and rivers of Oslomarka Forest are just 15 minutes by public transport from the city centre, while on the other side of town is an impressive 'fjord' - it's not technically a fjord, but it looks like one and is called Oslofjord. Stroll Frogner Park and admire the fabulous Gustav Vigeland sculptures as well as seeing the Akershus Fortress. Walk on top of architectural wonder, the Opera House, before catching a show. Uncover historic maritime treasures on the Bygdøy Peninsula - or even better catch the hop-on hop-off boat to see all the nearby sights. The Nobel Peace Centre, for its art, and the lively renovated shipyard Aker Brygge, now full of quirky shops and cafes, are also worth a look in. Art buffs may want to visit some of Edvard Munch's most famous works, including The Scream, at the Nasjonalgalleriet. If you do want to try ski jumping, there's no better place for it than the Holmenkollen Ski Jump and Museum - because you also get a spectacular view of beautiful, scenic Oslo from the top! As always, be sure to book ahead if you want to guarantee yourself a room in one of the best places to stay in Oslo. 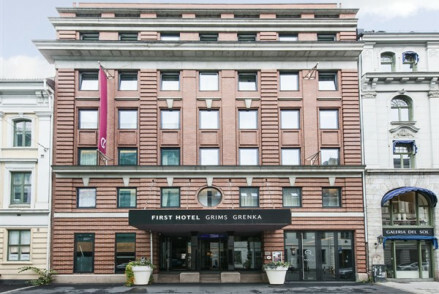 Right in the centre of Oslo, Grims Grenka's modern but stylish interiors, generous proportions and excellent restaurant make this an easy choice for people who want to make the most out of a flying visit. The Hotel Gabelshus is a very different proposition. Central but quietly located, in a residential area just 10minutes from the Royal Palace by tram, this hotel is simply decorated but stylish. It's one of the best places to stay in Oslo for shoppers and people who fancy a poke round the Aker Brygge markets. 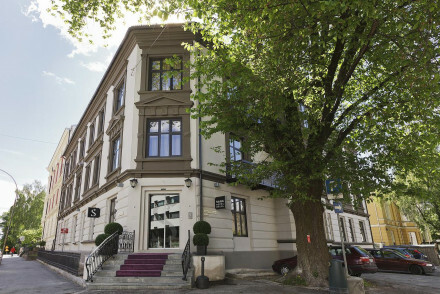 Thon Hotel Rosenkrantz provides smart and colourful boutique rooms, whilst there's also a lovely guest lounge in which to kick back and relax. Ideally situated to see all that the city has to offer. The Thief's name comes from its location: on Thief Island, 15 minutes from the centre of Oslo. This is design hotel at its best, with original art by Warhol, Anthony Gormley and Julian Opie, dramatic public spaces and waterfront views. 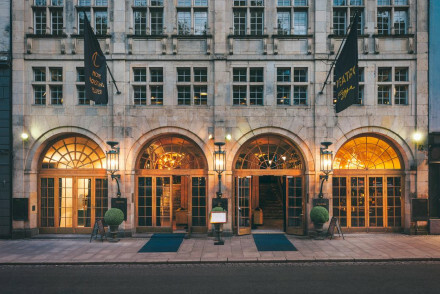 The Grand Hotel, on Oslo's grandest street, Karl Johans Gate, has all the traits you want to find in a hotel of this name. Exquisitely elegant rooms and suites and luxurious public spaces make this hotel a real treat. 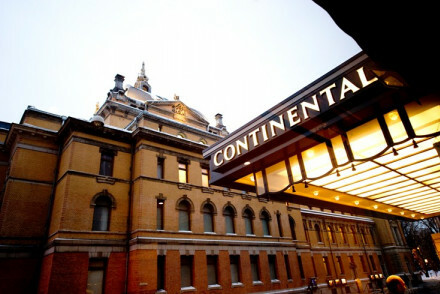 Another classic hotel name, the Hotel Continental is beautiful, quite traditional spot. The lively bar and restaurant are popular with locals as well as guests. If you'd prefer the privacy of a self-catering option then browse through the wide variety available online with our partner, Booking.com. Best time to visit if you want warm weather is during the summer - July, the hottest month, reaches an average daily temperature of 18°C. June and July are also when the city experiences the midnight sun phenomenon that allows for almost 24 hours of daylight! However these months are peak tourist season so expect it to be pretty busy and more expensive than at other times of the year. May and September are good bets if you prefer a quieter and cheaper time, though it can be pretty chilly (the average temperature is 12°C). International visitors can fly into Oslo Airport, 35km northeast of the city centre. Ryanair fly here from Stansted, Norwegian Air from Gatwick and Edinburgh, whilst British Airways and SAS go from Heathrow. 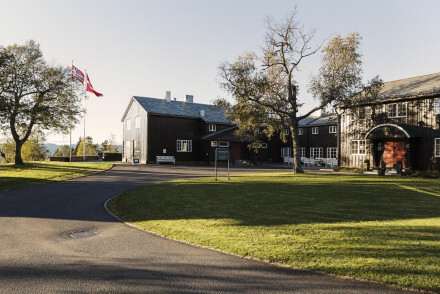 Browse through our list of all the best places to stay in Oslo. 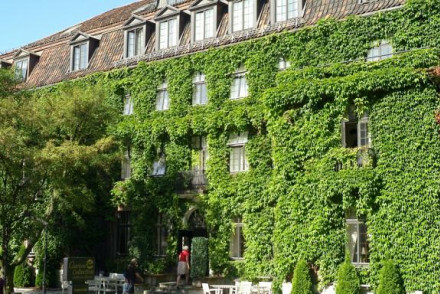 Alternatively, check out our list of the best places to stay in Norway as a whole or across the border in Gothenburg. Finally, feel contact one of our friendly gurus for advice. 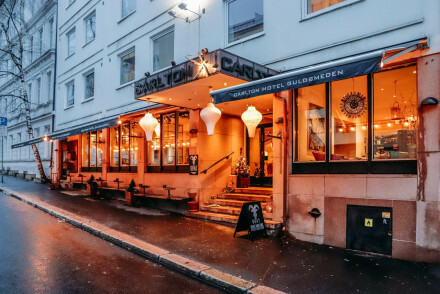 A chic, contemporary hotel in heart of Oslo, providing 'home from home' comforts, with an emphasis on quality from the bed linen to the smart TV and Bose sound system. Bright, colourful rooms plus an exclusive guest lounge with great views. Perfect for business trips or local exploring. Value chic - With doubles from just £120 B&B, it is excellent value. An attractive hotel with an ivy clad facade in a peaceful residential area. Simply decorated rooms with lots of natural light, some with private balconies. Buffet breakfasts and set dinners. A good option for families, couples, and those keen to be close to the shopping district. Local markets - Aker Brygge District. Great walks - Frogner Park. A cosy boutique hotel set close to the lively harbour. Stylish interiors feature a mix of Eastern decor with wickerwork lampshades and gorgeous Kilim rugs. The cosy rooms are all furnished with modern fourposter beds, snug pelts and quirky artwork, and the organic breakfast is a treat! A charming central hotel in a 19th-century building with its own cosy restaurant. Expect chic design featuring sleek modern pieces with bold furnishings and wallpapers. Smart rooms have a subdued palette accented by gold throws and fabrics. A great city base, ideal for couples. Lively area - In the thick of the action. Large loft suites, a lively roof top terrace and bar, fantastic restaurant, and extensive conference facilities. A modern hotel with huge simply decorated spaces in the centre of Oslo. An excellent choice for a business visitor. Roof terrace - Lively roof top bar and terrace. Lively - Hip and happening. A quirky hotel in a historic old theatre bang in the centre. Stylish interiors have parquet floors and marble panels, with a wacky bar and restaurant featuring an eclectic mix of patterns and decor. Elegant rooms have colourful classic furniture and eye-catching wallpapers. A hip and happening base! An elegant hotel with expansive grounds and an indoor pool with indulgent spa facilities. 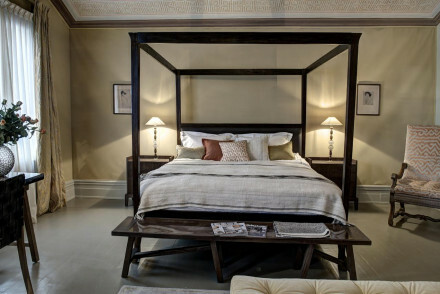 Interiors exude a pared-back luxury, with fine classic furniture, gorgeous rugs and an extensive art collection, while stylish rooms are unfussy with a muted palette. The gourmet restaurant is a real highlight. A stylish and intimate central hotel featuring a gourmet restaurant. Interiors have original period features such as panelling and high ceilings, with fine furniture and a pleasant palette of greys. Individually furnished rooms combine classic and modern elegance, with statement pieces. Delightful! A superbly sophisticated designer hotel on Thief Island. Art from Warhol, Anthony Gormley and Opie along with brooding black and gold interior design gives a sombre effect. Rooms have magnificent waterfront views and all the mod cons. Excellent restaurant and spa. A haven for art lovers. A beautiful hotel filled with contemporary classicism. Chic rooms and suites in subtle tones have lots of natural light and all the mod cons. 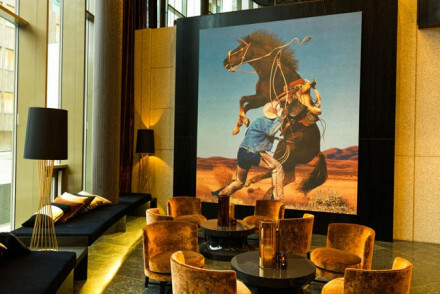 A fabulous restaurant, lively bar, and artworks to admire. A luxury spot. Sights nearby - Five minute walk from the Royal Palace. 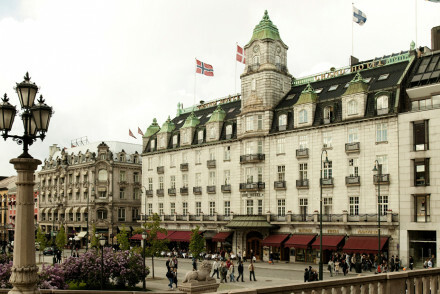 A highly luxurious landmark hotel in central Oslo. Exquisite rooms and suites are elegant in style with walk in wardrobes, stand alone bath tubs, and all the mod cons. Multiple restaurants and bars, excellent spa, and fantastic concierge. For the luxury traveller.